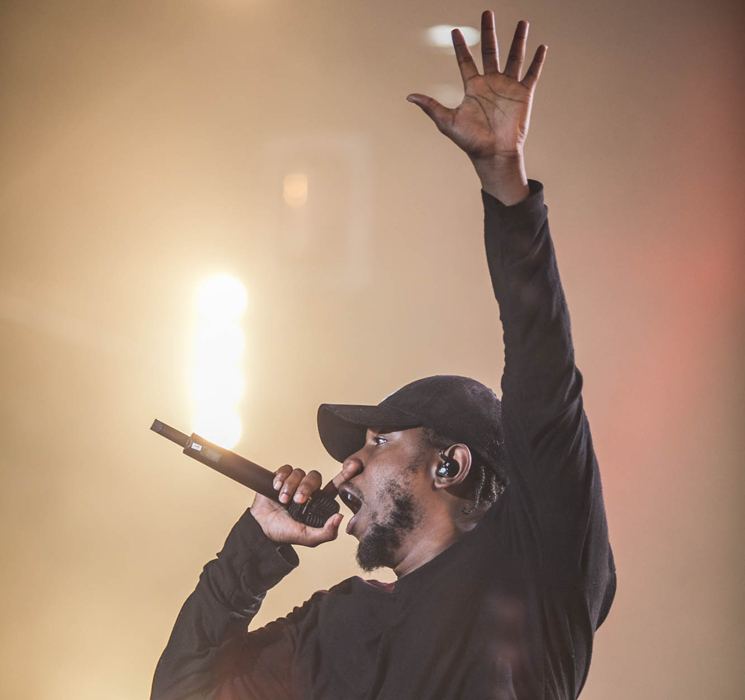 Kendrick Lamar is about to kick off "THE DAMN. TOUR," and he's unveiled a series of special pop-up shops to mark the occasion. The temporary stores coincide with city stops along the tour, including Canadian destinations Toronto, Vancouver and Montreal. The first stop north of the U.S. border is in Toronto on July 25, and Lamar's pop-up shop will be taking over Livestock's 116 Spadina Ave. location from 11 a.m. to 7 p.m. Fans in Vancouver can shop the merch on August 2 at the Livestock at 141 East Pender St., also from 11 a.m. to 7 p.m. The final Canadian shop will open in Montreal on August 24 at a location that is still listed as "TBD." Find full details on all the pop up shops here, and see the full list of Lamar's upcoming North American tour dates down below. Order DAMN. on vinyl via Umusic.